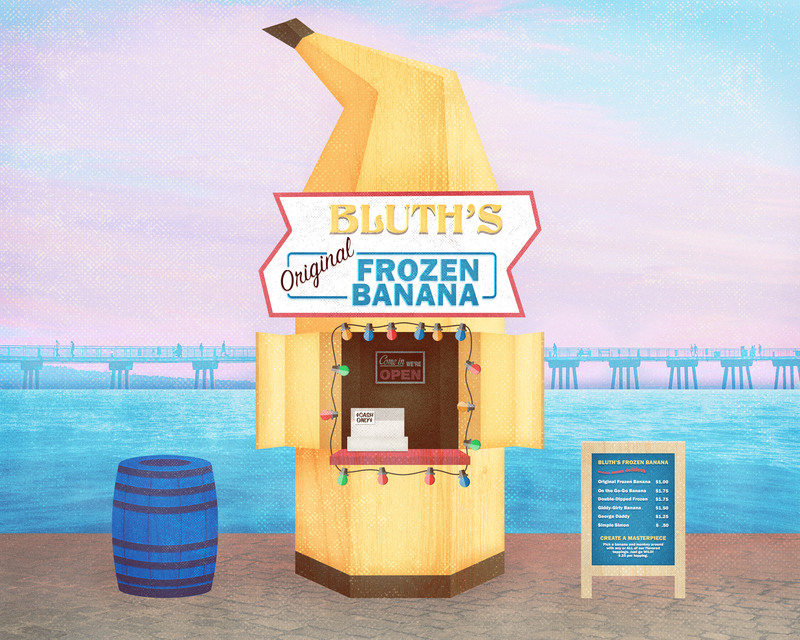 "Bluth's Original Frozen Banana" is a frozen banana stand started by George Bluth in 1953 as part of the Bluth Company. It is located on the Oceanside Wharf boardwalk, on Balboa Island in Newport Beach. Throughout the series Arrested Development, the banana stand gets destroyed and rebuilt several times. As George Bluth frequently said: "There's always money in the banana stand."